After two weeks of intense negotiations that went 28 hours into overtime, COP 24 adopted a 133-page “rulebook” for the Paris Agreement. These rules which are contained in a series of Decisions contain the modalities and procedures on how the various articles of the Paris Agreement are to be implemented. 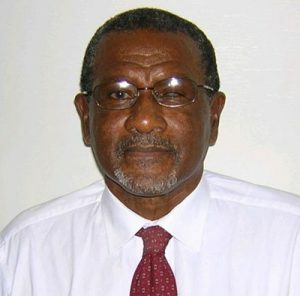 The COP welcomed the Special Report on Global Warming of 1.5°C prepared by the Intergovernmental Panel on Climate Change (IPCC) to which the Parties in the Subsidiary Body for Scientific and Technical Advice (SBSTA) had failed to agree the previous week. This report was used to inform the Talanoa Dialogue, which encouraged Parties to consider the outcomes of the Dialogue to inform the preparation of the NDCs and pre-2020 ambition. Guidelines were adopted for the preparation of NDCs including common timeframes commencing in 2030. The NDCs will be posted on a Registry to be developed and maintained by the Secretariat of the United Nations Framework Convention on Climate Change (UNFCCC) which will also include a section for Adaptation Communications. 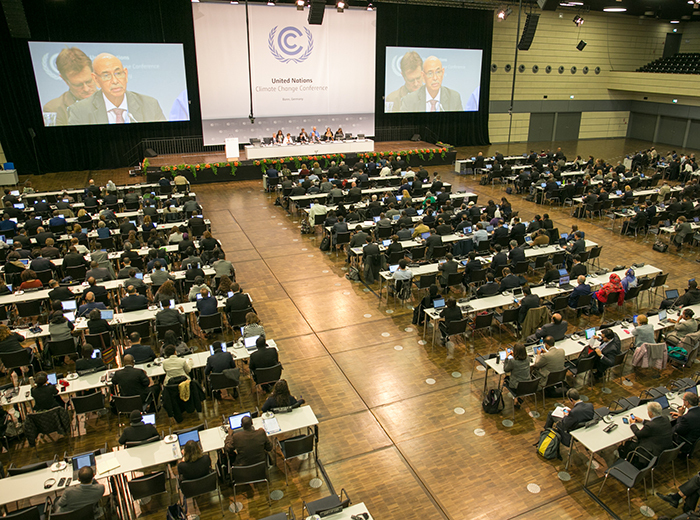 Parties agreed that the Adaptation Fund under the Kyoto Protocol would serve the Paris Agreement and that it would receive the proceeds of the market mechanism established under the Paris Agreement. However, Parties could not agree on this article of the Agreement which covers cooperative approaches, and the market and non-market mechanisms. The SBSTA would continue debating these issues at this next session for a decision to be adopted at the next COP which will be held in Chile next year. Parties agreed to commence consideration of the new goal for climate finance in 2020 utilizing the 2020 goal of USD100 billion as the starting point. In addition, as of 2020, developed countries will provide indicative information every two years on the climate financial to be provided to developing countries including the channels, instruments, targeted regions and countries, and sectors. The modalities, procedures and guidelines of the Transparency Framework were adopted through which Parties will report on how they are implementing the provisions of the Paris Agreement. These will undergo a technical expert peer review process. The Parties also adopted the modalities and procedures which the Compliance Committee will use to assist Parties which are unable to meet their NDCs. The procedures to undertake the global stocktake (GST) in 2023 and every five years thereafter were also agreed. The result of COP 24 is that the Parties to the Paris Agreement now have most of the tools to begin the implementation of the Agreement. 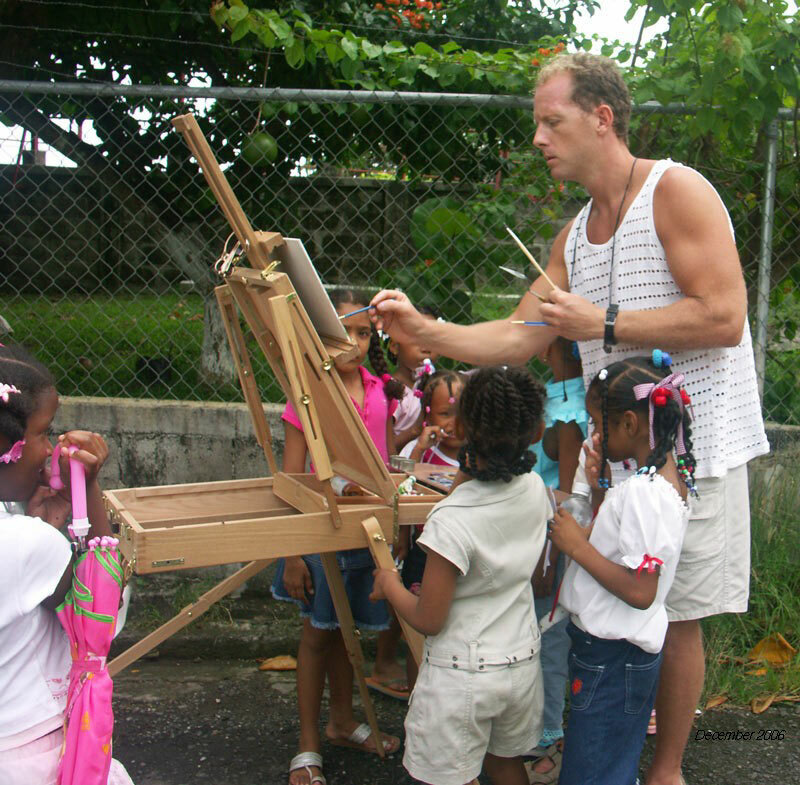 The face of the campaign is a new, powerful painting by Saint Lucian – American artist Jonathan Gladding. 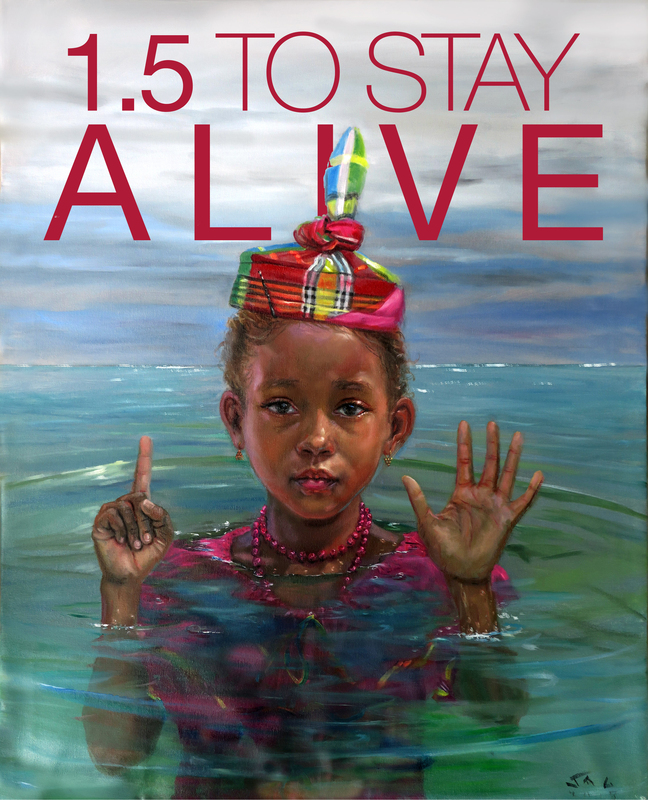 It pictures a young girl with her body almost entirely submerged by sea-level rise, and with her fingers sending the desperate message that she needs #1point5tostayalive. Click on the image above to obtain and download large-resolution. “We cannot look at our children and grandchildren and say we did nothing or we did not know what to do. Whatever artistic gift we have – and whatever rewards it brings or we hope it will bring – will not mean a thing if all we hand over to our descendants is a planet that is their funeral pyre even while they are alive,” says Hippolyte. Hippolyte has also revealed that he is working on a new theme song, entitled “1.5 Is Still Alive”, in collaboration with musician and humanitarian Taj Weekes. As was done in 2015 with the theme song of the campaign leading to the Paris conference, this project will bring together a number of well-known Caribbean singers. The Paris Agreement signed at the historic climate conference in 2015 called on all countries “to pursue efforts to limit the temperature increase … to 1.5 degrees Celsius above pre-industrial average”. Climate change experts now confirm that global warming is on track to break the 1.5°C mark by around 2040. This regional awareness campaign is supported by the Caribbean Development Bank and the Caribbean Community Climate Change Centre, in collaboration with the CARICOM Secretariat, the OECS Commission and other regional entities. With today’s European Parliament approval of the Paris Agreement ratification – in the presence of European Commission President Jean-Claude Juncker, the United Nation’s Secretary General Ban Ki-moon and the President of COP 21 Ségolène Royal – the last hurdle is cleared. The political process for the European Union to ratify the Agreement is concluded. * President Jean-Claude Juncker in his State of the Union Speech on 14 September called for a swift ratification of the agreement. He said: “Slow delivery on promises made is a phenomenon that more and more risks undermining the Union’s credibility. Take the Paris agreement. We Europeans are the world leaders on climate action. It was Europe that brokered the first-ever legally binding, global climate deal. It was Europe that built the coalition of ambition that made agreement in Paris possible. I call on all Member States and on this Parliament to do your part in the next weeks, not months. We should be faster.” Today this is happening. Commissioner for Climate Action and Energy Miguel Arias Cañete said: “Our collective task is to turn our commitments into action on the ground. And here Europe is ahead of the curve. We have the policies and tools to meet our targets, steer the global clean energy transition and modernise our economy. The world is moving and Europe is in a driver’s seat, confident and proud of leading the work to tackle climate change”. The EU, which played a decisive role in building the coalition of ambition making the adoption of the Paris Agreement possible last December, is a global leader on climate action. The European Commission has already brought forward the legislative proposals to deliver on the EU’s commitment to reduce emissions in the European Union by at least 40% by 2030. With today’s approval by the European Parliament, the Council can formally adopt the Decision. In parallel the EU Member States will ratify the Paris Agreement individually, in accordance with their national parliamentary processes.